Restorative Justice is a philosophy and a social movement which provides an entirely different way of thinking about crime and victimization. Our current retributive justice system focuses on punishment, regarding the state as the primary victim of criminal acts and casting victims and prisoners in passive roles. Restorative Justice, by contrast, focuses on healing and rehabilitation. It incorporates a strong human rights analysis that emphasizes the factors of race and class in the over-incarceration of people. It assumes that the persons most affected by crime, victims and offenders, should have the opportunity to become involved in resolving the conflict. The goals of restoring losses, allowing prisoners to take responsibility for their actions, and helping victims move beyond their sense of vulnerability stand in sharp contrast to the conventional focus on past criminal behavior and increasing levels of punishment. Restorative Justice sees crime as a breakdown of society and human relationships and attempts to mend these relationships through dialogue, community support, involvement, and inclusion. 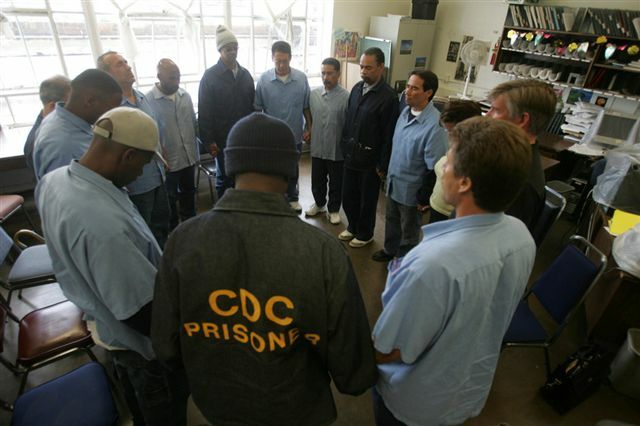 While denouncing criminal behavior, Restorative Justice emphasizes the need to treat prisoners with respect and allow them to reintegrate into the larger community. At the center of the Restorative Justice philosophy is the understanding of the importance of engaging victims and prisoners in a healthy way so they feel empowered and are supported to make meaning out of their experience. Restorative Justice attempts to draw on the strengths of both prisoners and victims, rather than dwelling on their deficits. 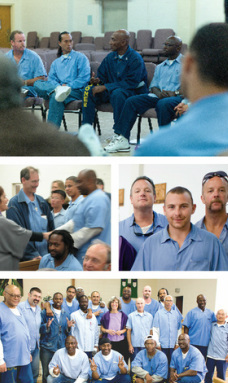 In summary, Restorative Justice emphasizes the importance of working with prisoners and their victims in a way that promotes healing and encourages reconciliation, elevating the role of crime victims and community members in the process, holding prisoners directly accountable to the people whom they have violated, enabling prisoners to have access to transformative programs while incarcerated, restoring the emotional and material losses of victims, and providing a range of opportunities for dialogue, negotiation, and problem solving, whenever possible, that can lead to a greater sense of community safety, conflict resolution, and closure for all involved." 1. Umbreit, M., (2001). The Handbook of Victim Offender Mediation, An Essential Guide to Research and Practice. 2. Sharpe, S., (1998). Restorative Justice: A vision for healing and change. “Until you are honest with yourself and face your past, the past continues." "Until you admit guilt and take responsibility for your offense, the offense continues." "Until you become accountable beyond yourself to your victim and your community, there can be no healing."